Ask the professionals. 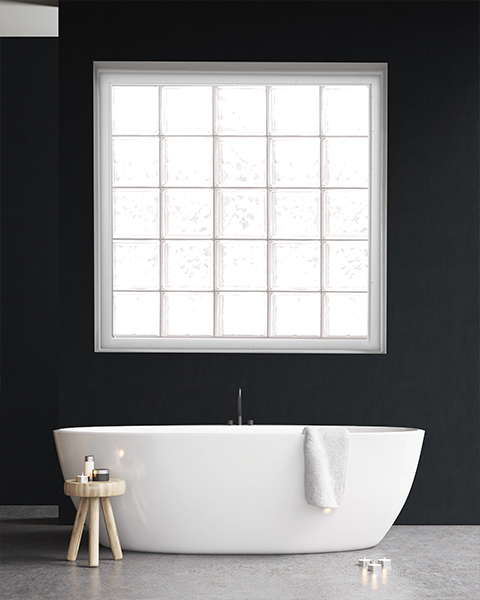 If you're thinking about adding a privacy window in your home, listen to why home builders across America are including Hy-Lite windows in their homes time after time. Reason #1: Provide privacy when homes are on small lots and close to other homes in the immediate area. Reason #2: Add stylish options so people can customize their homes. Reason #3: Offer more privacy to homeowners who have first floor master bathrooms. Reason #4: Increase profitability by offering upgrade privacy window options in a new home package. Reason #5: Accent a home's exterior with curb appeal provided by the look of a privacy window. For almost 30 years Hy-Lite has experienced strong, consistent sales of our acrylic block and decorative glass privacy windows. Why? Because over time our windows have become more valued and requested by both trade professionals and consumers. Whatever sized opening you have, we're sure to have a stylish way for you to add privacy to your home.